At Mikkeller Seoul, managed by The Booth. Michael Jordan (left) of Boxing Cat Brewery talks about his beer while The Booth co-founder Heeyoon Kim. The Booth has been a major presence in the Korean craft beer scene since it first appeared in the spring of 2013. With 5,000KRW glasses of Bill’s Pale Ale and 4,000KRW slices of Monster Pizza, it was perhaps the cheapest place in the city for good food and beer. Today, pizza paired with craft beer is about as unique as peanut butter and jelly, but The Booth started it all. 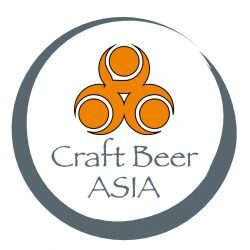 Since then, The Booth has continued to be, perhaps, the most original craft beer company in Asia thanks to their ability to innovative and connect. The Booth has done so many things that no one else has. They expanded much faster than the other Korean craft beer franchises, opening up seven locations (with an eighth location at Haeundae Beach in Busan now closed). Early on, they partnered with Monster Pizza to serve great slices, and “The Beerfather” Bill Miller to craft a delicious pale ale. They later opened the Beer for Geeks tasting room and Mikkeller Seoul; somehow forged a relationship with Mikkeller, To Øl, and Evil Twin; started wholesaling those imported beers with The Booth Station; and got world renowned brewmaster Mikkel Borg Bjergsø of Mikkeller to come to Seoul for a visit. They opened a brewpub in Pangyo and are soon launching a brewery in California. They started a campaign called Equity for The Booth which used crowdfunding to raise capital. They recently got the brewer from Boxing Cat Brewery in Shanghai to visit and share his beers. They’ve occasionally launched DJ dance parties and art installations at their locations. Now they’re launching their first craft beer festival, The Beer Week, at Common Ground this April. I was very excited when I had a chance to sit down with The Booth’s team at the re-launch of their brewpub, The Booth Brewery, in Pangyo this past January. Dressed in a powder blue sweater, with a perfectly tousled, spiky head of hair, eye glasses with powder blue ear pieces and rimmed in a non-traditional geometric shape, Sunghoo Yang exerted an easy air of quiet, cool confidence. He paradoxically seemed to be both the cool kid and disarmingly low-key. When we talked, his friendly voice barely rose above a whisper and, though he carefully weighed his answers, he never seemed nervous or uncomfortable. Sunghoo and Head Brewer Chris Shelton at The Booth Pangyo. Sunghoo started The Booth with his wife, Heeyoon Kim, and his friend Daniel Tudor. Daniel might be remembered as an unlikely catalyst of the craft beer scene in Korea for his piece in The Economist in 2012 which trashed the South Korean beer scene and served as a much-needed wake-up call. Unfortunately, my voice recording app couldn’t read him either. I had the ‘skip silences’ feature enabled and, after our interview, my recording was a series of me asking questions for 14 minutes. I realized this while loitering inside The Booth Brewery’s tiny bar area, waiting for the event to start (and the beer to flow). I quickly hopped outside The Booth Brewery and crossed the road to find a little privacy, where I frantically dictated as much as I could remember from the interview into my phone. The thing that struck me the most about The Booth’s story was how casually it all seemed to come together. Sunghoo said that he and his wife first got into craft beer from drinking Craftworks and Magpie early in 2013, liked it, and therefore decided to open their own pub just a few months later. When I asked Sunghoo why they chose the name “The Booth,” he explained that their pub was meant to be an organic extension of the friendly, hip, Kyungridan alley. Quite literally, The Booth is supposed to be just what it says—a friendly, neighborhood haven for people who socialize in that, now very trendy, area. They wanted a place that looked funky and served good, affordable beer along with good, affordable food. The Booth Gyunglidan, the original location. Sunghoo credits almost all of The Booth’s projects and expansions as the result of several lucky, organic coincidences. He explained that most of the expanded locations weren’t planned, but rather the result of simple opportunity. Likewise with Monster Pizza, a popular pizza place based in Hongdae, who just happened to be looking to outsource their recipes to another business as The Booth were opening shop. The partnership with Mikkeller, and other high-end brewing companies, also came along serendipitously. While honeymooning in San Francisco, Sunghoo and Heeyoon happened to try Mikkeller for the first time. Sunghoo loved it, so he contacted the brewery with the intention of opening a Mikkeller bar in Seoul. Mikkeller wanted to test the market first, so The Booth began exclusively importing Mikkeller, To Øl, and Evil Twin before opening Mikkeller Seoul last year. The recent Boxing Cat tap takeover and Meet the Brewer event at the end of February 2016 was another seemingly random occurrence. Sunghoo had tasted their beer in Taipei and invited them to bring their beers to Seoul for a visit. The Eureka Project also happened by a lucky coincidence. Any fan of craft beer in Korea, especially before 2015, is very family with Lost Coast brewery. Lost Coast was one of the first imported craft beers and their Indica IPA, Great White, Tangerine Wheat, and Watermelon Wheat were often the first craft beers in any restaurant or pub. Because of its popularity in Korea, Sunghoo followed their business and—not long ago—learned that they were moving into a newer brewing facility. Sunghoo pitched them an offer and now The Booth owns their original brewery in Eureka, California. Platinum Brewery had previously avoided draconian Korean taxes and bureaucracy by opening a brewery in China to import their beer back into Korea, and now The Booth will do something similar from California. It’s strange that Sunghoo humbly credits so much of this to coincidence. The success of The Booth isn’t due to mere happenstance. His confidence and ease may make everything seem casual and organic, but it’s his attitude that makes things happen. The Korean craft beer community is, in many ways, a small and supportive community. The Booth is but one friendly haven in that Kyungridan alley, a neighborhood where so many beer geeks hang out and members of different breweries and pubs mingle and collaborate together, like small-town neighbors exchanging cups of sugar or cutting each other’s lawns. Sunghoo effortlessly extends the casual, small-community spirit of sharing and collaborating across the beer-drinking world. It doesn’t matter if it’s a pizza company in Hongdae, a renowned Seoul homebrewer, a successful Shanghai brewery, or even one of the most respected breweries in the world: Sunghoo will reach out to them as if they shared a backyard fence. That ease and confidence makes everything seems so basic. It’s like he’s thinking, “Monster Pizza tastes great; I’ll see if we can do that at our place. Bill Miller is renowned as perhaps the best homebrewer in the country? I’ll see if he wants to design a beer for us. This Mikkeller beer tastes good so I’ll just reach out to this world-famous Danish beer master. Lost Coast is upgrading their facility? I’ll just make an offer on their massive brewery in a whole other country and do something that no one in Asia has ever done. This Shanghai-based Boxing Cat beer tastes good? I’ll invite the brewer here for the first time and showcase his beers at my place.” And now their new beer festival, The Beer Week, will involve tons of Korean brewers from that community as well as introducing Young Masters from Hong Kong and Jing-A from Beijing. Sunghoo and his team are simply amazing. Because of that confident, friendly attitude, they have managed to do so much stuff that no one else has ever done in Korea. The Booth continues to innovate, connect, and evolve. Their re-launched brewery has some really exciting new beer. And this summer, their new American brewery will ramp up production to about 25x the amount they’re currently capable of in Pangyo. I have no idea what they’ll do next! As I was madly dictating these details into my smart phone, I glanced up at the entrance to The Booth Brewery. There was now a line-up of about 30 people extending outside the door and down the street. To make matters worse? My winter jacket, scarf, and gloves were all inside. Starting to feel the cold, I cursed silently and rushed to get in line. I was eager to warm up and eager to taste some of these new beers.